Lomas de Banao: Natural Values Highlighted | Cuba Headlines – Cuba News, Breaking News, Articles and Daily Information The official proclamation of the ecological reserve Lomas de Banao (Banao Mountains) as protected area, in the Cuban central province of Sancti Spiritus, denotes the recognition to its natural values and the actions carried out in favor of the environment´s protection. "> The official proclamation of the ecological reserve Lomas de Banao (Banao Mountains) as protected area, in the Cuban central province of Sancti Spiritus, denotes the recognition to its natural values and the actions carried out in favor of the environment´s protection. The official proclamation of the ecological reserve Lomas de Banao (Banao Mountains) as protected area, in the Cuban central province of Sancti Spiritus, denotes the recognition to its natural values and the actions carried out in favor of the environment´s protection. This protected area is distinguished by its values concerning flora and fauna. According to the specialist Ernesto Pulido García, member of the Ministerio de Ciencia, Tecnología y Medio Ambiente (CITMA) in Sancti Spíritus, this protected area excels among the others due to the development of projects on communitarian environmental education. In this issue, the expert highlighted the actions of the surrounding communities addressed to promote a culture of natural protection in the inhabitants. 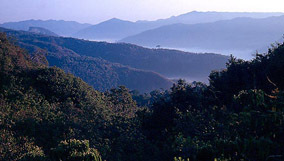 Lomas de Banao ecological reserve was the winner of the Provincial First Prize on Environment in 2010, and its results boosting ecotourism are considered as outstanding. This protected area is distinguished by its values concerning flora and fauna, with a 23 per cent of endemic species, and near 800 varieties of plants, the specialist added.